We are experienced in caring for families, from all walks of life. Each family comes to us because they know we are leaders in our profession, dedicated to excellence in service, and have the highest integrity. Our lives are full of options. This should be no different when it comes time to select a funeral home for your family. For over 100 years, the options have been limited to a few select funeral establishments in the cities of Utah County and along the Wasatch Front. While their service to our community is most appreciated, they have not felt it necessary to change or to keep up with the current needs of today's families. Even more alarming is their ability to overcharge on their services, caskets and burial vaults to the point of being unreasonable. Families often feel that they have been taken advantage of by their town funeral homes. This should not be the case in any industry, escpecially one that is as emotionally sesitive as Funeral Service. Consumers would be in a similar situation if there were still only one doctor in town or one grocery store in town. When it comes to selecting a funeral home, Utah Valley Mortuary offers options to you and your family. We are a price sensitive and professional funeral home that cares about your needs and what is best for your family. On average we save families between $2,000 and $4,000 on a traditional funeral plan. Additionally, we save others hundreds of dollars on cremation planning. Our service packages are simple and easy to understand. We believe in “inclusive pricing” and our packages contain everything you will need all under one simple price. From the casket, the burial vault, and the headstone, we care for every detail in the most cost efficient and dignified manner. See our packages and merchandise under “What We Do”. We serve families in every city in Utah County and Along the Wasatch Front. Whether you are planning a funeral in Provo or needing a cremation service in Lehi we are there for you. Our signature in-home funeral arrangements may bring us to your home where you will be most comfortable speaking of the sensitive nature of funeral planning. Our mission is to create meaningful experiences that will appropriately honor the life of the deceased and give comfort and hope to their loving family and friends. We are confident in our ability to exceed the expectations of each client family, and we will anticipate and carry out every detail of the funeral experience. We provide honest and upfront pricing to each client family as a token of our integrity and commitment to put the needs of others first. A family-run business, we are owned and operated by the Matthew Davis Family. We offer full service facilities with an embalming room, arrangement office, business office, and family viewing room for intimate gatherings. As a Funeral Director, Matt saw the need for elegant – yet affordable – funeral services. By starting our funeral home in a smaller facility, we are able to minimize the cost of our overhead and can pass those savings on to our clients. Although we do not hold funeral services at our facility, we arrange for services in churches, at gravesides, or at reception facilities. In addition, every family has the choice to meet with us in our beautiful funeral home, or to make their funeral arrangements with our funeral planners in the comfort of their own home. 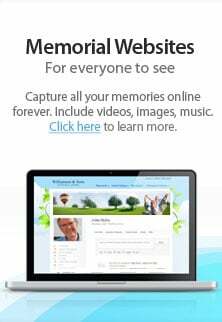 We are truly revolutionizing the way you think about funerals. Allow us the opportunity to show the options that are yours. Matt is a funeral professional with thirteen years of industry experience. A graduate of Pleasant Grove High School, he received a Bachelor of Science in Mortuary Science from the Cincinnati College of Mortuary Science in Cincinnati, Ohio and where he also completed his National Board Certification. Matt has also received the James C. Lyerly Business Management Award, The Kirkman Scholarship, The Ohio Funeral Directors Association Leadership Award, Dr. George M. Sleichter Academic Award, and The Charles O. Dhonau Memorial Embalming Award. Matt’s professional experience includes working for funeral homes in South Carolina, Ohio, and Utah where he has gained expertise in funeral directing, embalming, pre-arranged funeral counseling, cemetery operations and headstone design. He is married and has three children. Hobbies include hiking, trail running, and camping. Matt recently served as a volunteer with The Sharing Place, A Center for Childhood Grief. Amanda Mortensen is a true professional with sixteen years of business experience. As Office Manager, she oversees all aspects of funeral home operations. Her expertise includes an advanced knowledge of headstone design and production, systems organizations, logistical planning, time management, and funeral planning. Her warm and vibrant personality has proven a great benefit to the families she cares for. Raised in Kalispell, Montana, Amanda enjoys reading, spending time with family and friends, traveling, and finding fun places to eat out.